Today is World Water Day. 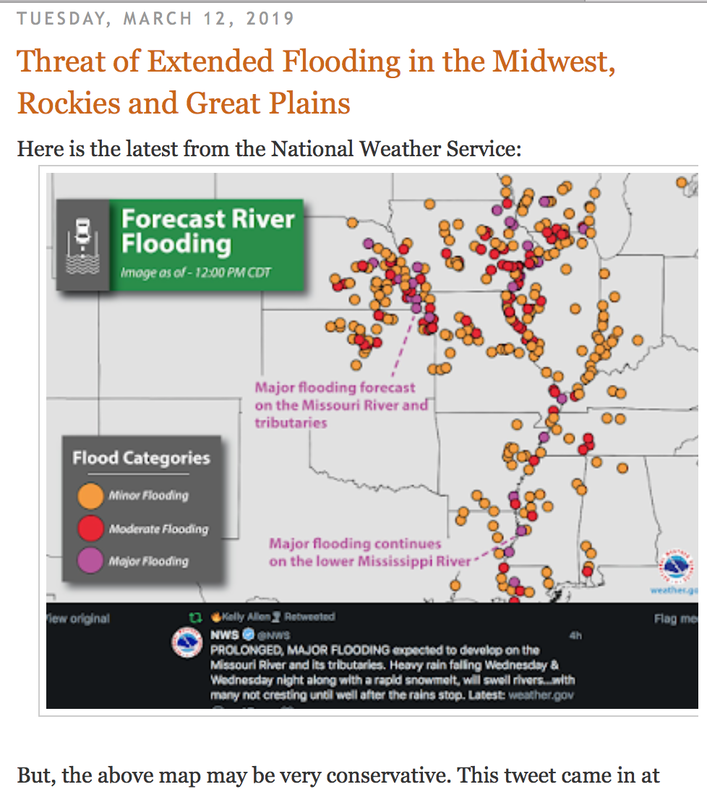 In order for water resources, which are often scarce in parts of the world, to be properly managed, weather forecasting is critical. 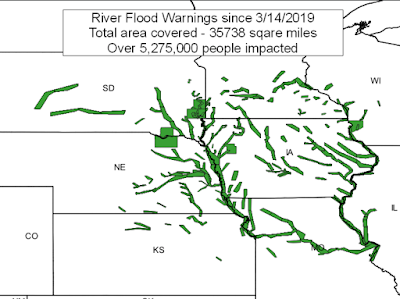 Given the record flooding in the Midwest, I thought our readers might find interesting a comparison of a recent water forecast versus reality. The forecast below was posted on this blog on March 12th. It was comprised of the graphic from the National Weather Service and commentary from yours truly. 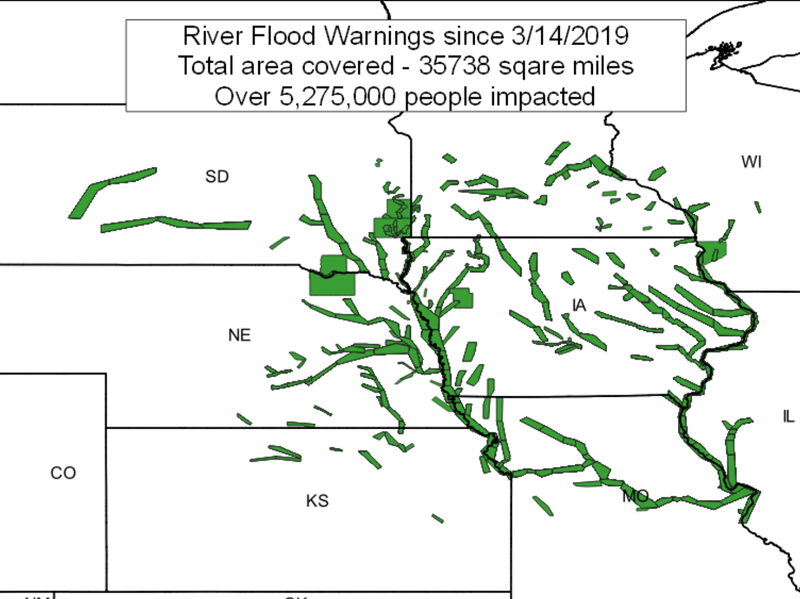 Below is a geographic plot of all National Weather Service flood warnings plotted since the major flooding began March 14, two days after the above forecast. 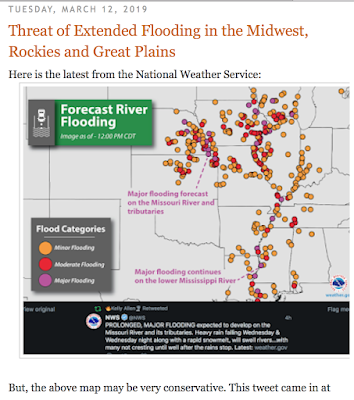 Whether is was the forecast for the High Plains Megastorm (or "bomb cyclone" if you prefer) or the above forecast of the subsequent flooding, weather science continues to provide vital information to save lives and improve society.